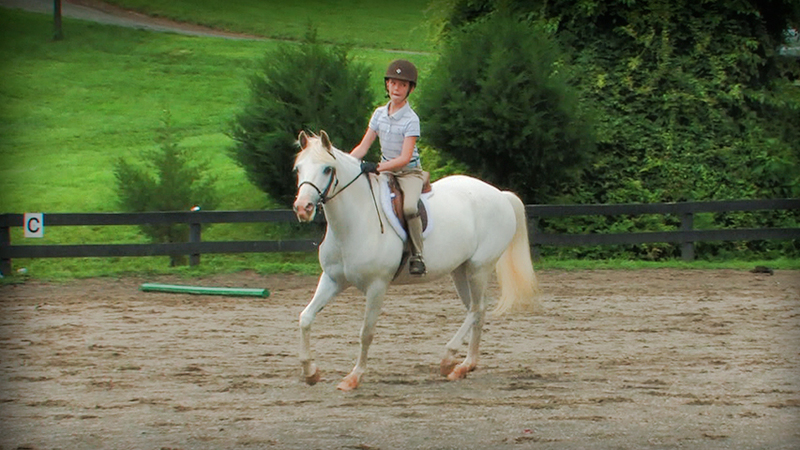 One of the first lessons a young rider learns when allowed to ride off of a lunge line is how to stop and steer their pony or horse.The exercise I always did when teaching green riders was what we called “stop spots.” The rider trots around the arena and stops in each corner. This is key in teaching them how to stop their horse or pony for their own safety, but also a great way to get them to stop in a straight line before they turn the corner (and the all too common beginner pitfall of cutting corners). Our school ponies and horses were so sweet and well trained that they knew this exercise by heart. I swear they could hear us explain to the riders to stop in the corners, which was really helpful because you don’t want the horse to drag the kids past the turn (it’s hard enough for green riders to remember the exercise and keep their balance/position). Depending on the riders level of experience, they can walk or trot between “stop spots.” However, we always found doing it at a trot was easier because the pace helped keep the straightness. Another great aspect of this exercise is that it teaches riders to get the hang of doing prompt transitions. Especially since on the short end of an arena the “stop spots” are closer together, asking that the walk steps in and out of the halt become fewer and fewer. Once the rider gets to be a pro at “stop spots,” have them turn the stops into a circle. So, now instead of halting, they continue trotting around the arena doing a small trot circle in each corner. This exercise is so great for teaching riders to be aware of the arena and not to cut the corners. It’s so useful, in fact, that we’d even make the more experienced riders do this exercise from time to time if they were cutting the corners on the flat or to jumps. It is a great reminder for all levels how much room there really is in the arena and to make use of every inch. 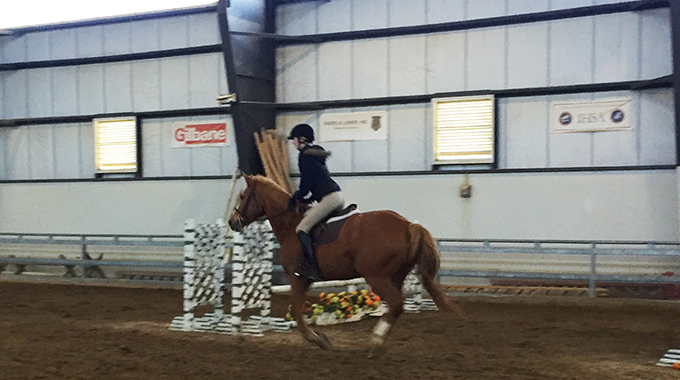 Near the end of the young rider’s first year, Susan introduces the indirect rein. 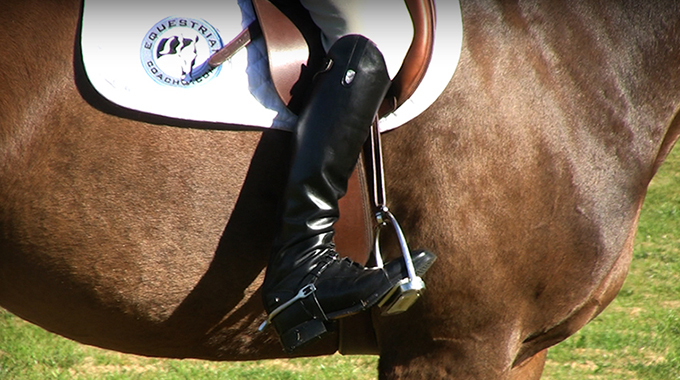 This rein aid, used in conjunction with the leg aids, is more sophisticated than an opening rein to facilitate turns. 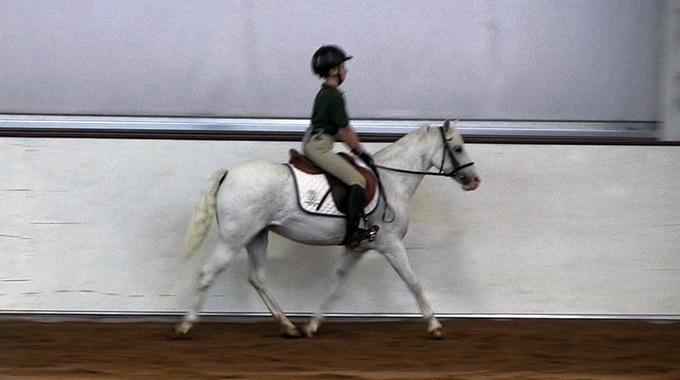 In this video topic, Susan uses exercises with figures, such as circles, half circles and serpentines, to solidify her students’ use of leg and rein aids together. In this video topic, Susan Deal asks her young student for longitudinal movements, adjustments of pace, in order to begin feeling when to increase or decrease hand and leg pressure. When performing transitions from a regular posting trot to a slow sitting trot, for example, the rider must recognize when she needs to use her leg to prevent the pony from breaking to the walk, likewise, too much hand will also cause a break to the walk. This ability to gauge, calibrate and coordinate hand and leg is fundamental to the rider’s progress. 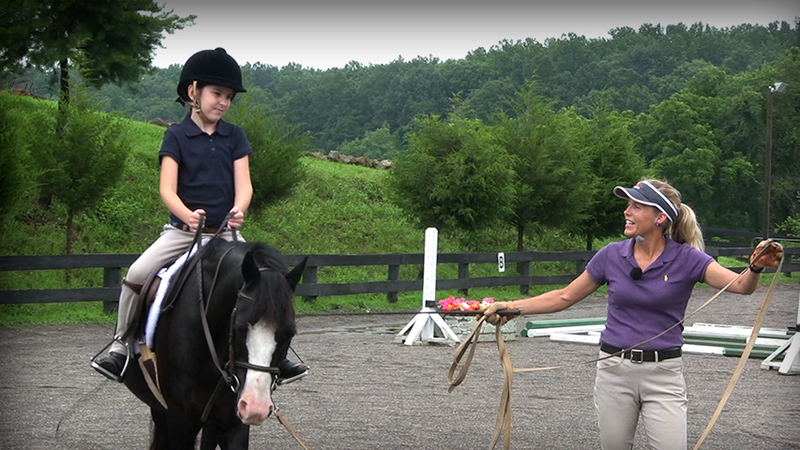 Join USHJA certified trainer, Susan Deal, as she gives young students their first lesson on a horse and starts them on the path of proper position and correct horsemanship. In this video Susan, with her upbeat, encouraging style, shows us her methods for starting a beginner equestrian off right by covering stirrup and girth adjustments, mounting, picking up the reins, proper position, and basic rein aids. 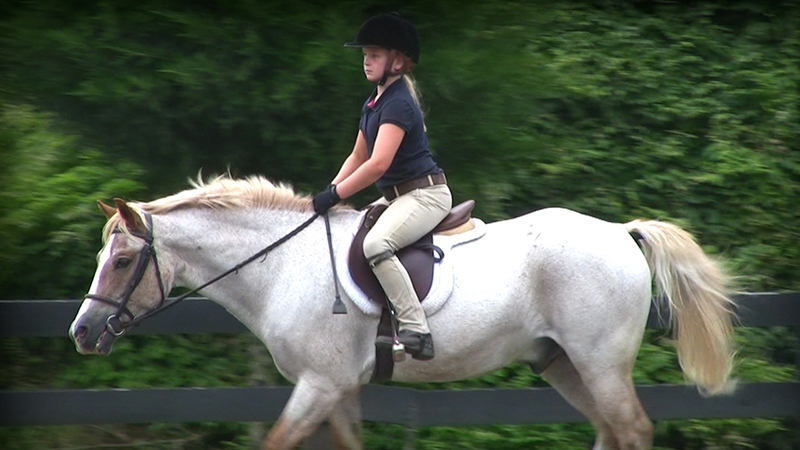 The exercises she uses are designed to get the rider comfortable in the saddle. As riders, we’ve all heard our coaches say “heels down” time and again. Here are three exercises you can do with your stirrups to help get your heels down and leg stronger.